They tell you that you should always be passively looking for new career opportunities, no matter how loyal and happy you are at your job. You never know what could happen, such as: layoffs; a new manager who is a bad fit; lack of job growth and/or salary growth; relocation; unethical situations from leadership; and so on. There are plenty of reasons why a person should always be building relationships with potential employers. With the recruitment process being somewhat longer than in years past, it’s best to get a head start in case you suddenly find yourself in a less-than-desirable situation with your current employer. With that being said, I decided to investigate my new stomping ground of Boston and passively see what was out there. Moving from South Carolina up to this city, I was sure that there’d be plenty of opportunities for HR and talent acquisition at desirable companies. Plus, I already had my resume out there for the resume research project and had received plenty of calls and emails from recruiters. Why not actually speak to a few… or should I say TRY to speak to? Here’s a recent situation that had me shaking my head and really question companies’ approach to talent acquisition. Recently, I was sought out for an HR coordinator role at a Fortune 100 global company. I was intrigued to see what it was all about, being that the company had a well-known consumer brand and is huge. After getting an email from the recruiter requesting some more information about my background, I decided to take a peek at their Glassdoor page. It had no branding and had some fairly low ratings. Normally, that would be a red flag for me but I decided to feel it out instead to really see if it was that bad or if it was just because a specific business unit or location drove down the ratings. I emailed the recruiter back with the details they were asking for. It was pretty standard and I assumed that I would either never hear from them again, would get a phone call to set up a phone screen or would receive a generic rejection email. I was surprised to get an email back from the recruiter in less than 12 hours requesting more information again, however, this time it was 10 specific questions. As I reviewed the questions, I realized they would have been typical questions you would ask a candidate in a phone screen. I thought it was odd but I complied anyway just to see where it was going. After submitting my answers, I then received a new email asking to meet with him and the HR Director for a 3 hour interview on-site by the end of the week. It is a candidate’s dream to have such quick turnaround and responsiveness from a recruiter. But, for that quick turn around and for a request for such a formal interview without even being screened seemed sketchy. I did research on the recruiter to double-check that it wasn’t a scam or that it wasn’t a third-party agency. I found that the recruiter was in fact an in-house senior talent acquisition manager for the company. I also verified that the name of the director was correct. My mind was reeling at the fact that the talent acquisition department of a well-known company would be that archaic. Not once did I receive a single phone call from anyone at this company, even if it was to simply schedule the on-site interview. There was no personal interaction whatsoever and I was unappreciative that they didn’t take the time to at least phone screen me. The reason being is that the phone screen isn’t just for a company to feel out a candidate, but it’s also an opportunity for a candidate to feel out the company. Maybe the position wasn’t a right fit, maybe the salary was too low or maybe the culture was not aligned with what I was looking for. The next thing that bugged me was the fact that I didn’t have an opportunity to ask them anything about the role or company, but they knew plenty about me, especially the fact that I’m working full-time. Why would I waste 3 hours (not including travel time) to meet with a company that I knew nothing about? For all I know, I could have gone to an interview to find out this position was not at all what I was looking for. Do companies actually think passive candidates (especially employed ones) have time to waste by blindly walking into a time-consuming interview? Needless to say, I passed on the opportunity. For someone who is involved in HR and talent acquisition, I could easily tell that these processes seemed to be stuck in the past and there would be no way I could work at a company that wasn’t progressive, especially with things like candidate experience and recruitment in general. I understand that technology is changing the way people communicate, but I just found the lack of personal communication to be unacceptable. Maybe the position was a great one and would have offered a competitive salary for the new increased cost of living I’m experiencing. Maybe the company actually was progressive and the HR and TA departments would have offered me the best career development experience I’ve ever had. I’ll never know, though, because the recruiter never took the time to pick up the phone to establish that relationship with me and I’m sure that I’m not the only one who’s experienced this before. Unfortunately, companies who don’t train their recruiters to provide a better candidate experience will be missing out on amazing talent, both active and passive. It’s sad to know that during my research I have only experienced a couple positive and impressive interactions. It really makes me wonder what happened to the recruiting profession. Poor training doesn’t stop at initial outreach. Companies need to focus on a well-rounded training program that teaches their teams to provide a seamless and positive candidate experience from initial resume screening all the way to onboarding. That’s the ticket to building a strong pipeline of engaged talent that will eventually convert into engaged new hires. Recruiter Training: Are We Focusing on the Wrong Things? A few months back, I wrote a blog covering the recruiter faux-pas my friends had been experiencing during their active and passive job searches. Coming from a talent acquisition background, I was frustrated with the consistency of bad communications, outreach, general recruitment and interview processes. It brought to light the reasons why candidates are so turned off by the process of finding a job. Being out of the job hunt for a couple of years now, I decided to try a little experiment to see what candidates are facing. Now living in a city much bigger than Charleston, I believed there would be many more job opportunities and it would be a prime time to do this research. About two months ago, I decided to put my resume out there as an active job seeker. 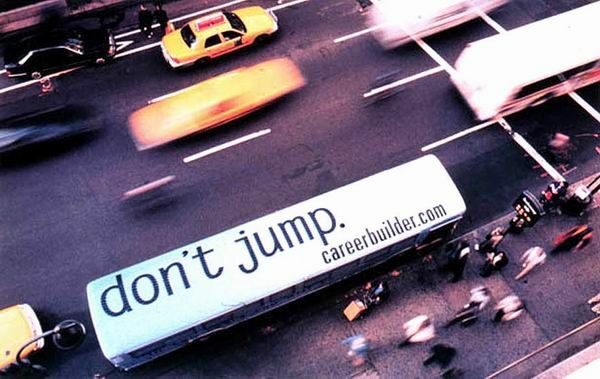 I posted on the mainstream job boards, such as CareerBuilder, Indeed and Monster. I updated my social media profiles, About.me and LinkedIn. I uploaded my resume on more job-specific boards, joined talent communities and applied to a few jobs for good measure. The results were horrendous. I thought this would have been a no brainer for recruiters. I have a bachelor’s with a focus in human resources and I’ve spent the last 4+ years working in human resources and talent acquisition roles. I even included links to my social media profiles and this very blog just to give a clearer picture of my skills beyond my traditional resume, if the recruiters decided they wanted dig a litter deeper. I was spoon-feeding them. I was making it easy. So why were the results so abysmal? I could hear the sales-pitch and franticness in some of their tones. It’s just getting bad. Is it all the recruiter’s fault for being terrible at matching skills and general communications? Of course not. But having worked in agency, RPO and corporate recruitment roles the past, I can tell you that recruiters are trained differently in different environments…. if they’re trained at all. I have noticed over the years that business is rapidly growing and there’s an urgency to find talent, throwing training to the wayside to ensure a fast ramp-up. And the metrics I’ve seen recruiters held to are a little ridiculous. Most of them make absolutely no sense when it comes to ensuring quality talent is being found. Do I understand urgency in filling positions might cause hiccups in process flows? Sure do. But at what cost? Lack of adequate new hire training and on-going training is causing our industry to become just as bad as the creepy “used car salesman”. Poorly designed performance measurement tools and metrics are causing people to feel like they have to cut corners in order to meet unrealistic expectations to ensure job security. Bad habits are being passed along during peer-to-peer job shadowing and training. In the end, it’s the candidates that are suffering. Also, the companies are suffering when they’re not getting the talent they need. And unfortunately, some hiring managers don’t have the luxury to hold off for the right talent and sometimes they do have to settle for someone presented sooner than later. But, shouldn’t it be the recruiter’s duty to at least try to find the best talent they can in that timeframe who won’t be likely to quit within the first 90 days? It is a sad state of affairs, my friends. But one that can be fixed. If you’re in a position to implement changes, you need to at least make the effort. Don’t turn a blind eye just because you’re hitting your SLAs and getting butts in seats. Quality matters. 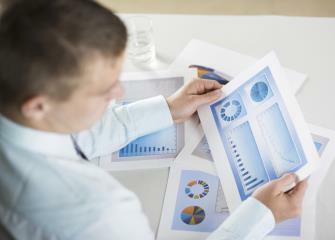 Ensuring your recruiters are meeting REAL performance indicators matters. Creating a better candidate experience so candidates actually WANT to call your recruiters back matters. Ensuring the positions you are filling don’t become vacant again in less than 6 months matters. And if you’re a recruiter reading this, you still can make a difference in your own work. I understand that sometimes you might not have the support from managers or leadership, nor know where you need to go to find it. I’ve been there before – I get it. But there is a plethora of resources out there in our industry that you can utilize to help you fill the voids in your training. Sure, it might be a little extra work to dedicate to independent learning and development, but it’s well worth it if you feel like you can keep your integrity intact. I was by no means an ideal recruiter and I’m sure I’ve made some of the aforementioned mistakes above. However, the difference is to be self-aware of these things and to take the necessary measures to ensure our industry doesn’t come crumbling down on us, even if that means taking your training into your own hands. Market research is an essential step in the talent acquisition process and, surprisingly, is a step that may be inadequately implemented or missed all together. During my time in recruiting and sourcing roles, I learned how helpful market research was when starting the initial search for candidates. It’s helpful when identifying current supply and demand, challenges and opportunities. It gave me a solid starting point when pipelining candidates, making my search more efficient and effective. It’s also helped me reposition the position to be competitive. Supply and demand reports: pulling these reports can provide some great insight into the talent market. Understanding how many candidates are available in comparison to posted jobs will allow a recruiter to see what they’re up against. Also, understanding average compensation, popular job titles and typical candidate profiles can allow a recruiter to reposition the verbiage if needed to ensure their job postings are more visible. Competitor intelligence: in some cases, the supply and demand reports will also show top job posters in the market. This can make it easy for recruiters to see organizations that are aggressively recruiting for the same types of candidates. In researching these companies, recruiters can develop their outreach and steer conversations with candidates in a way that can highlight positives of the job and company, creating a competitive twist. Pipelining: not all markets and job roles are the same, so it’s important for a recruiter to research the most popular resources to find candidates before investing in these channels. Investigate job boards, social media, career fairs, and so on to see the best places to post your job and source for talent. Partnerships: building relevant partnerships in the talent market can be a great way for you to get your job in front of the right people and allow for opportunities to network with candidates. Research relevant professional organizations, universities/colleges/technical schools, veteran assistance programs, chamber of commerce associations, professional meet ups, and so on to really get a feel for these opportunities. Although these are four simple suggestions to initially pull market research, it’s surprising how helpful this information can be. It’s allowed my job postings and networking to become more visible, thus allowing for more traffic. It was especially helpful during times I was a virtual recruiter and couldn’t physically do these things. It’s helped me get in front of relevant candidates and identify different ways to position my postings and conversations to ensure my jobs were competitive in the market. Do yourself a favor next time you get a new requisition and perform some of the steps above. I’d love to hear how it impacts your success rate. Throughout my career, I’ve been a sourcer and recruiter for various industries and positions. I’ve learned what works for each industry, new tricks and new tools to make the most out of recruitment initiatives. I attempted to perfect the process but even I’ve slipped up a few times and have made the faux pas that many recruiters make at some point in their careers. Although I was deeply involved in recruitment and interviewing, it’s been a while since I’ve been a job seeker so the opportunity to help friends during their hunt has helped me gain perspective of what it’s like to be on the other side of the recruitment process. Seeing the job hunting process in motion has brought to light the many things job seekers face that contributes to a poor candidate experience. Recruiter spam: One of my friends who is a software development is constantly blasted with emails from contracting agencies, third-party vendors and the like. All of the messages are impersonal, don’t seem to match his experience except for a couple of keywords and require him to apply to their jobs. This basically takes recruitment to the laziest form by requiring the candidate to put in the work before physically having a conversation, especially since the recruiter was the one who reached out to the candidate first! Also, it’s noticeably a template. He’s gotten to the point where he automatically deletes the emails without even looking at them, rendering this recruitment process useless. Lack of candidate profile competency: Similar to the recruiter spam issue, I’ve had another friend deal with recruiters reaching out to her about jobs that aren’t even remotely relevant. Of course, we all experience companies reaching out to us about its sales jobs if we post our resumes on the job boards. But in this instance, it’s even worse. She connected with a recruiter via LinkedIn and the recruiter seemed to quickly respond that he wanted to speak to her about positions at the company. She decided to apply to their graphic artist position just to be in the ATS by the time the phone screen was set up. A week later, she finally got to the phone screen stage in which the recruiter spoke to her about their account executive positions. Not only was my friend annoyed by the fact that her resume had NOTHING to do with sales, but also by the fact that the recruiter didn’t check their own systems to see which jobs she applied to. This was enough to turn her off from the company completely and she decided to opt out of the interview process. Poor communication and updates: As a recruiter, I completely understand how hard it is to move the process along. Sometimes other people drag their feet. Sometimes it’s impossible to get updates from hiring managers in a timely manner. Sometimes the job has been put on hold and that news hadn’t trickled down to you yet. Things happen but it’s no excuse not to be respectful to your candidates, especially if they reach out to you about updates. Even if you have no update, it only takes a few minutes to respond back to tell them as much. So many people have become disengaged due to the lack of communication that candidates actually pulled themselves out of the process and recruiters lost out on great talent. Broken processes: In another example, a friend recently had a phone screen with a company that reached out to him about one of their positions. It turned out this position was more senior-level but the candidate was more of a fit for junior-level. The recruiter informed him that there were entry-level positions within the organization but he didn’t currently handle them. After they got off the phone, the recruiter emailed him the name of the recruiter handling those entry-level positions but made no effort of passing along his resume to one of his own coworkers. Perhaps he wasn’t recruiting for the position, but the company should all be on the same page when it comes to filling their jobs. For example, if I couldn’t use a candidate but thought another recruiter could, I would instantly pass it along even if I wasn’t 100% sure if it was a fit. Now don’t get me wrong, I’m not writing this to bash recruiters. That would completely go against the industry I love dearly. I’m writing this to bring awareness of things recruiters may be doing wrong and even pinpoint my own mistakes as I progressed in the industry. As a recruiter, it’s important to realize these things and make adjustments so you can create a better candidate experience. As a candidate, I understand how frustrating these situations may be. Some of them might have been caused by poor training, poor business processes or maybe a recruiter is just new to the industry. Be patient but also know your limits and know when it’s time for you to walk away from a bad experience. Recruiters: How Deep Does Your Research Go? Lately, I’ve somehow found myself in the position of an informal career coach. I’ve been assisting job seekers who have been off the job market for several years and who were overwhelmed and intimidated by the way this whole process has changed. I was able to guide them through the process, from resume writing, personal branding, researching companies, and developing questions to ask during the interviews. As I went through this journey with them, I was surprised to learn that some of these questions have left recruiters scratching their heads. When I recalled my own experience in recruiting, I remember being in the same boat as these individuals. It wasn’t until later in my recruiting career that I realized how important it was to do deep research about a company to be able to confidently provide the information that these candidates wanted to hear. To really create a positive and informative candidate experience during the interview process, a recruiter has to think like a candidate thinks. I know when I was a job seeker, the first thing I would do was essentially stalk anything and everything about a company before my interview. If I came across something negative, I wanted it cleared up early in the process so I knew whether or not to move forward. When applying this knowledge to my recruiting career, I noticed a huge difference. Transparency helped me build a trust with my candidates and they felt more confident when it came down to making a decision. How can recruiters go the extra mile? Talk to people within the company: Even if you work at the company you’re currently recruiting for, it’s important to speak to several people in different roles or departments. Getting an overall idea of employees’ opinions of the company can help you paint a solid picture for your candidate. So rather than saying, “It’s a great place to work,” you’re able to provide several perspectives, making your examples well-rounded. Check out reviews on Glassdoor: Alright, I get it. I’m kind of a snob when it comes to this point but it’s definitely something that needs to be discussed. I’ve had plenty of job seekers tell me that they completely stumped a recruiter when they referenced specifics from these reviews. Needless to say, the job seekers would drop out of the interview process because they felt like there was a disconnect or that the company was potentially hiding something. Know your employer brand: Employment branding is a topic that is near and dear to my heart. Being on the marketing side of things, I see the amount of effort companies put into their brand to make sure they have various examples of why working for the company is great. The content put out can be a fantastic resource to provide to the candidates and can help keep them engaged throughout the process. Do a deep Google search: What’s your reputation? Employment branding and content pushed out by a company attempts to paint the company in the best light, but what about the stuff that WASN’T put out by the company? What are brand ambassadors, customers, clients and/or competitors saying? Do credible news sources or amateur bloggers have something worthy of sharing? Are your employees bashing or praising the company on social media? Knowing these things beforehand can help you discredit things that aren’t true, give a deeper explanation for things that are, or promote things that are aligned to what the candidate values. When I started doing this in my own recruiting practices, I was able to really make the most out of my conversations with candidates. If they mentioned something they were interested in, I had the specific details they needed. If they were concerned about something, I was able to ease their mind or give them the hard facts so they could make the call. If I was a job seeker, I would hope that the interviewer would do the same for me. 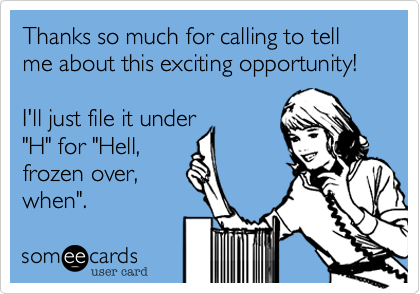 After all, job seeking is hard these days and accepting a job offer can be nerve-wracking. Essentially, a candidate is making a big decision based on referrals and other people’s opinions. It would make a huge difference if recruiters were able to incorporate these details during the interview loop. I remember when I first started learning about talent acquisition and recruitment. It seemed like the role focused more on keyword searches to find a bunch of resumes on job boards. Once a large stack of resumes was acquired, I then spent time interviewing individuals for jobs. If a job wasn’t open, I performed discovery calls to proactively build talent pools in the event that a new position opened up. Search, review, interview, document, and repeat. After a few months of going through this cycle, I felt turned off by the systematic approach. I thought this function was supposed to be about communication and genuine human interaction, not a robotic process. I bowed out from the recruitment role and eventually came back a couple years later to discover that it had morphed into something bigger and better. When I originally decided to pursue a degree and career in human resources, I never dreamed that marketing skills would be imperative to have. When I returned back to the recruitment field, I soon learned that the role had taken on a new form and the successful recruiters were the one who blended talent acquisition skills with marketing. No longer did recruiters source the job boards for hours on end. Instead, they had structured their day to have equal time for sourcing/recruiting, interviewing, and now, marketing. After I got a sense of what people were doing, I dove right in and created a marketing strategy of my own. I said farewell to posting and praying: Instead of posting job openings and waiting for people to apply, I became more proactive. How was I going to share this with people? More importantly, how was I going to make this engaging? My job promotions had started off as a link to the job with the title and location. Soon, I developed it into mini-marketing campaigns. These campaigns offered details that job seekers really cared about: company culture; things happening in the company; details about the office environment; details about the people they’d work with; and more insight to the projects or things they’d impact if they took the job. I went to the places that allowed resumes to come to life: If you guessed social media, you’d be partially correct. Although social media sites like LinkedIn, Facebook, and Twitter have been great, there is so much more out there. I started researching candidates and found blogs, portfolios, interest groups, other specialized social sites, and more. This helped me see more of what they had to offer than what their resume initially stated. It took their resume and made them into a 3D version of a candidate. I loved it. I nixed the template messages: When I receive a message that seems even remotely “spammy”, I typically delete it before I even read it. How do you think candidates feel when it’s obvious that they’re just another person on a list for recruiter spam? I took this into serious consideration and decided to spend more time on message customization. After I researched the candidate thoroughly through social sites, read more about what they like, or learned about what opportunities they were looking for, I got cracking on some message creations. I let them know why I was contacting them and what individual characteristics stood out to me. Additionally, I’d include specifics about the opportunity based on what the candidate seemed to be interested in. Does it take extra time and effort to do this? Sure, but the response rate increased because of it. Of course, there are plenty of other things that a recruiter can do to blend marketing skills into their recruitment strategy but these were some of the first ones I eased into once I got back in the game. It was nice to start seeing a candidate as an individual, talented person rather than a keyword search result. It was also amazing to see how people responded to my creativity. In a sense, it felt honest because I was spending more time connecting opportunity with the right people and vice versa. If you’re in talent acquisition/recruitment and you haven’t tested these skills out yet, I highly recommend it. Recruiters: Are You Going Beyond the Call of Duty? How Genuine are you When Providing Endorsements/Recommendations? Are You Giving Realistic Job Previews? Are Applicant Tracking Systems Helping or Hurting? Is Job Hopping Really a Bad Thing?